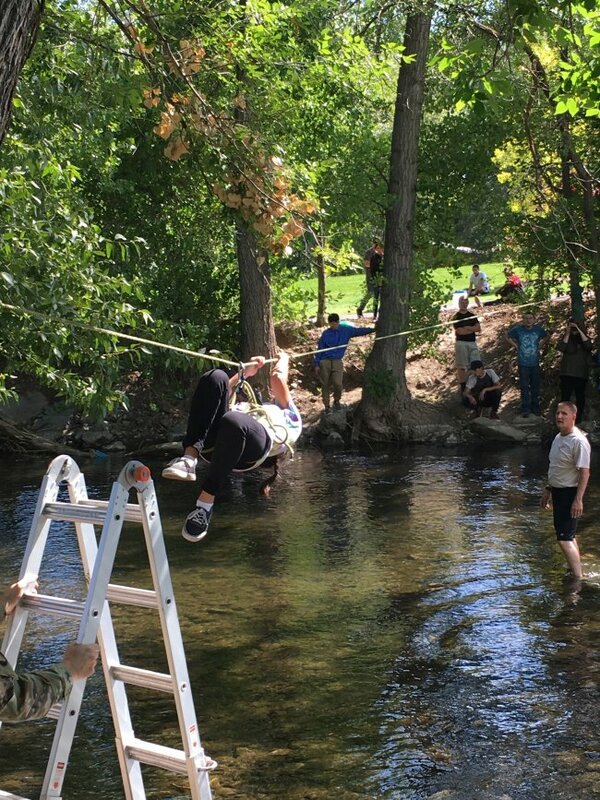 On Monday, September 18th all of Colonel Miller’s JROTC students crossed the Provo River. They did this by hanging from a rope tired between two trees. Scary right?! The students learned how to tie knots and work together as a team. They learned how to harness themselves to the rope and cross hand over hand to the other side. Some students were scared to cross, but the encouragement from other students helped to get everyone safely over the river. This activity is just one of many that helps Independence High School JROTC students learn how to become good leaders and have good communication skills. The JROTC program helps students learn the Army values which include loyalty, duty, respect, selfless service, honor, integrity and personal courage. We are so lucky to have this program at our school! Our students love JROTC and the skills that they are learning will be ones that last a lifetime!